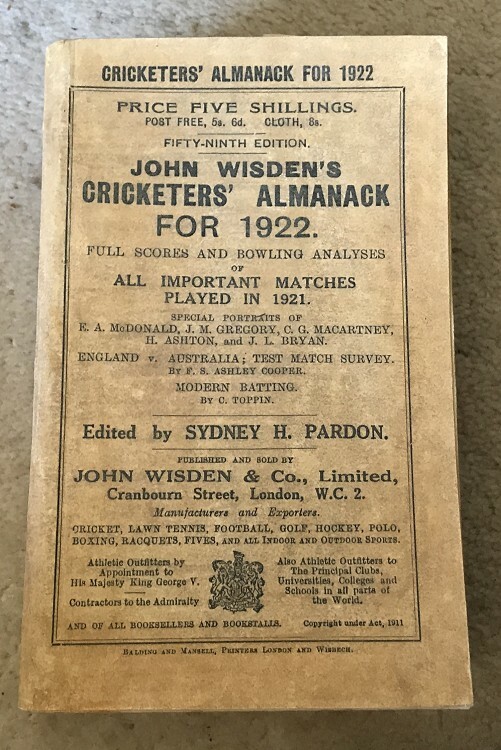 This lot is an 1922 Wisden Paperback with facsimile Spine and Front Cover. Plus possible 1 advert. In Good Condition. The front covers and spine are new and well made to the same 1922 original colour, internally nice and clean although some light staining at the page edge to the first few pages and the odd dog ear. The firts advery could be facsimile, hard to tell. The rear cover is original with some touch ups. A tightly bound, presentable Wisden and if you dont mind the facsimile exterior a super book at a great price.